New 814 bed hospital providing world class facilities. 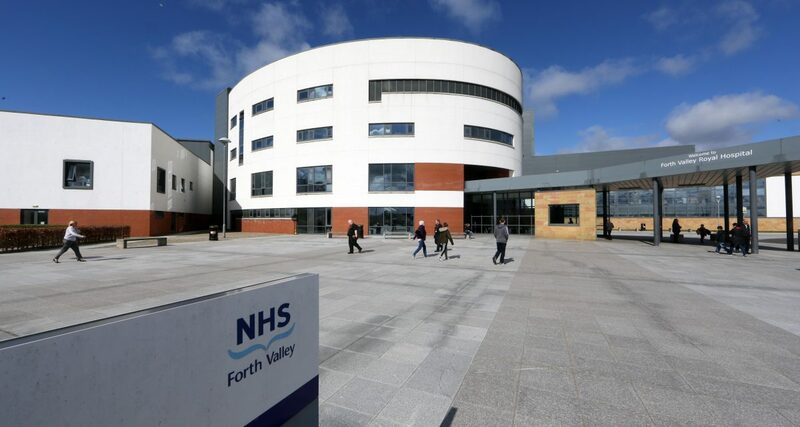 The New Royal Hospital for Forth Valley is a new 814 bed hospital provides world class facilities, replacing existing hospitals in Stirling and Falkirk as part of an integrated strategy for the delivery of healthcare services across central Scotland. The new hospital sits on a rural site of mature woodland that offers extensive views of the Stirlingshire countryside. The building capitalises on this opportunity to offer natural light and natural ventilation to all of the bedroom wards. As such a large development, the design concept was to break the building down into a series of ‘districts’. Each district has its own identity and ‘front door’ and be recognisable through the use of different colours and forms. This design strategy helped to develop the layout of the building, while also allowing the 96,000m² hospital to retain a human scale – something that is highly beneficial in a care and healing environment. Emphasis was placed on accessibility and limiting travel distances for patients and nurse staff. The control of infection was also a high priority. DSSR responsible for the full M&E Design. Due to the highly-complex nature of the building, there was a vast array of services and mechanical and electrical systems that had to be successfully coordinated on site. DSSR employed a large on-site team to oversee the integration of building services during construction. Extensive use of 3D CAD modelling has enabled the smooth production of a fully co-ordinated design for services. An integral part of the Forth Valley design is the large Entrance Drum and Atrium which houses Retail, Cafė, Accommodation, Waiting Areas, Information Areas. As part of the atrium ventilation design, CFD analysis was undertaken to inform the diffuser selection and location. This also demonstrated the temperatures expected within the atrium. A later CFD study was undertaken to inform amendments to the entrance lobby design and reduce the impact of wind driven air exchange.